This natural spectacle is world-famous. 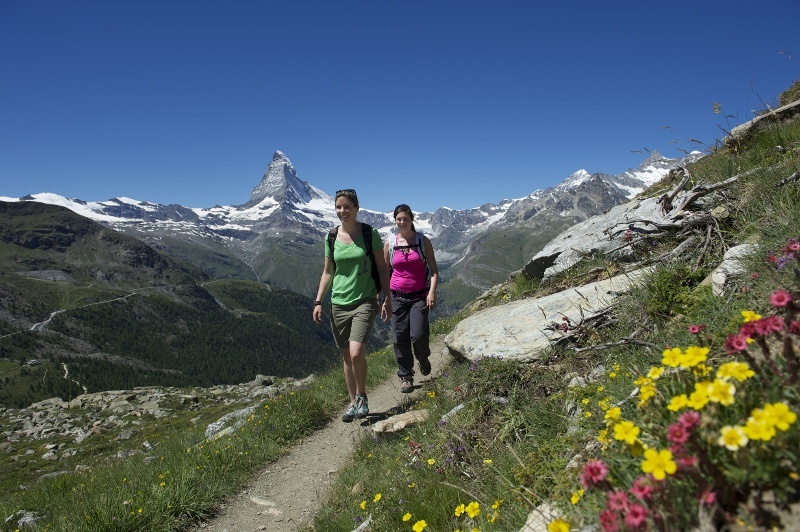 The Matterhorn stands solitary on the horizon. 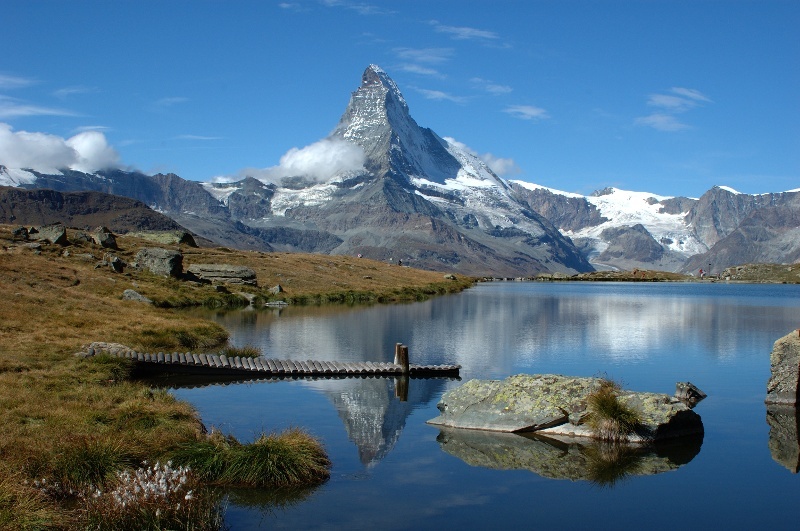 In the foreground is the Stellisee lake, with its mirror-like surface and crystal-clear water. 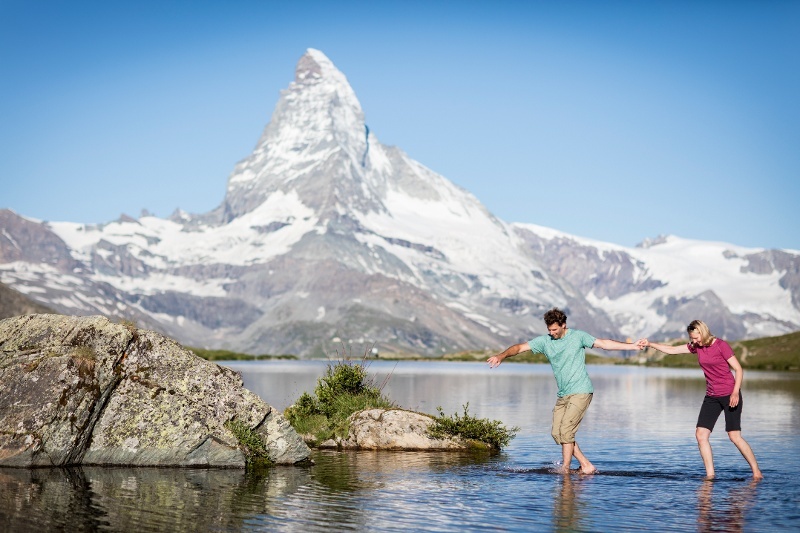 And floating on it, the inverted pyramid of the Matterhorn: perfection in nature! The view of the Findel Glacier is bewitching. The river of ice has been retreating for a long time now, as hikers can see clearly. Stretches of the trail lead along the former lateral moraines of the glacier. Hikers who linger along the trail may be lucky enough to spot chamois, depending on season. 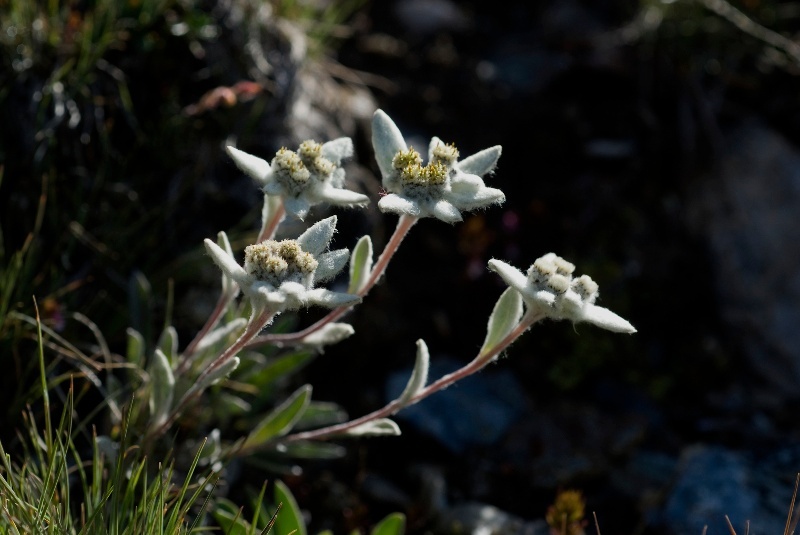 Look out for the star of the mountain floral world, the edelweiss (July/August).